This Goshen point was found in the bone bed on the Mill Iron site. Its greatest width is near the base. The ears are rounded and the basal cavity is ground and the edges are ground half-way up the point. 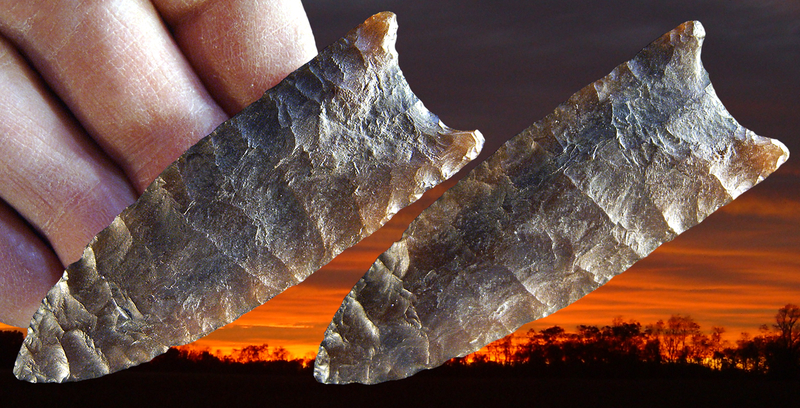 This point may be made of Hartville chert and it measures 2 13/16 inches (7.1 cm) long.